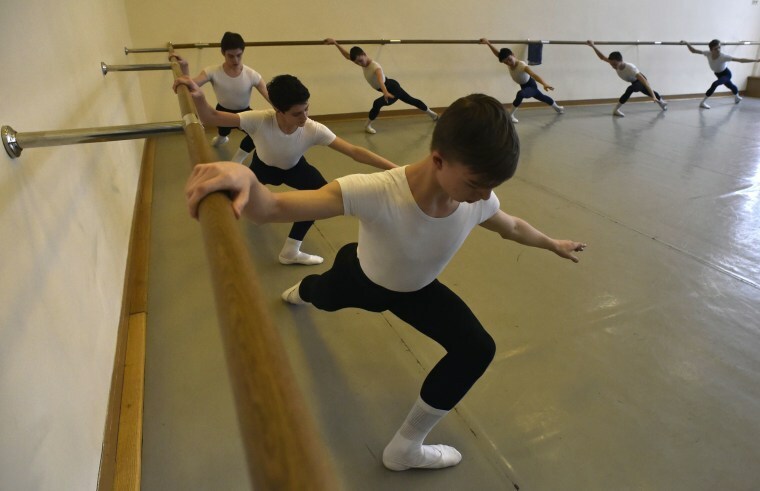 Young ballet dancers from all over the world pursue their dreams at Moscow State Academy of Choreography. A student stretches in a hallway before the start of her class in the Moscow State Academy of Choreography, better known as the Bolshoi Ballet Academy, in Moscow, Russia on March 3, 2016. The Bolshoi Ballet Academy, founded in 1773 by Empress Catherine the Great, has produced famous Soviet ballet-dancers Olga Lepeshinskaya, Maya Plisetskaya, Maris Liepa, among many others. A student gets ready for rehearsal at the backstage of the concert hall of Moscow State Academy of Choreography on March 3, 2016. A girl is silhouetted against the window during practice at the Moscow State Academy of Choreography on March 3. A young ballet dancer warms up in the hallway at the academy on March 3. Ballet students rehearse at the academy on March 3. Young student dancers have fun at the hallway before starting rehearsing at the academy on March 3. The Moscow State Academy of Choreography teaches ballet arts to both Russians and international students. Tatyana Galtseva, center in black, poses herself among the student dancers. Young dancers look on as they take part in a class at the academy on March 3. Being able to attend the Bolshi Ballet Academy is seen as a privilege. Young dancers rehearse at the academy on March 3. Student dancers rehearse on stage at a concert hall inside the academy on March 3. 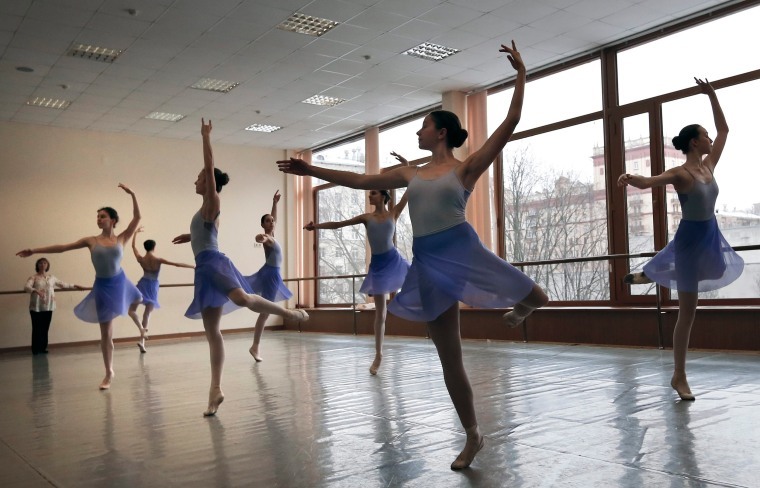 Teen dancers perform during a concert at the Bolshoi Ballet Academy on March 3. Two students rehearse on stage at the academy on March 3.